Mercedes-Benz engineers have started the first public trials of the redesigned B-Class minivan. 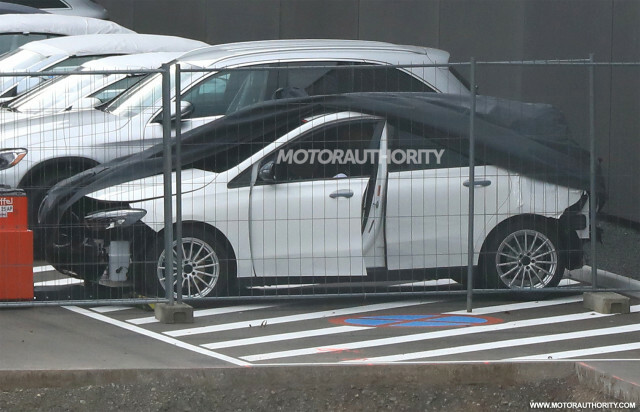 The car represents just one of eight body styles Mercedes is planning for its next-generation compact car family, the first member of which will be a redesigned A-Class hatchback debuting in early 2018. Others will include replacements for the CLA, CLA Shooting Brake and GLA as well as some new additions such as an A-Class sedan and GLB SUV. We expect the B-Class to trail the A-Class hatch by about a year. However, don’t expect it to see it in the United States this time around. 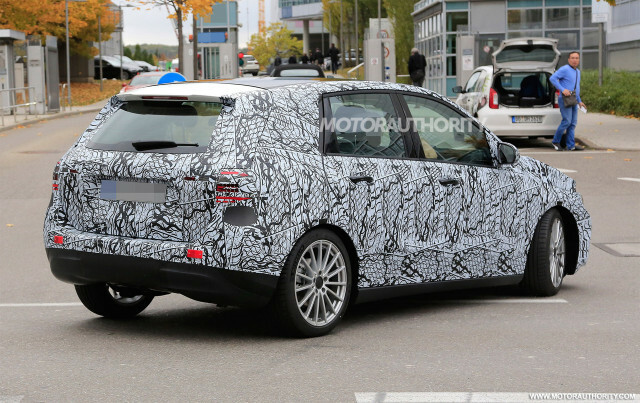 We get the current B-Class in electric guise only but the car will be dropped after the 2017 model year to make way, eventually, for a new EQA compact electric car. Despite its stodgy image, the B-Class is a vital model in Mercedes’ portfolio, particularly in Europe where its higher seating position appeals to older buyers and its spacious cabin to young families. Underpinning Mercedes’ next-generation compact car family is an updated version of the automaker’s MFA (Modular Front-drive Architecture) platform. Aptly dubbed MFA2, the updated platform will bring weight savings plus the capacity for alternative drivetrains. The B-Class will use a stretched version of the platform. Powertrains will include a series of inline-4 units, in both gasoline and diesel flavors. A plug-in hybrid option will also be available. The B-Class’ only direct rival is BMW’s 2-Series Active (and Gran) Tourer. There are, of course, a handful of non-premium alternatives. Examples include the Fiat 500L, Ford B-Max, Opel Meriva and Volkswagen Touran.